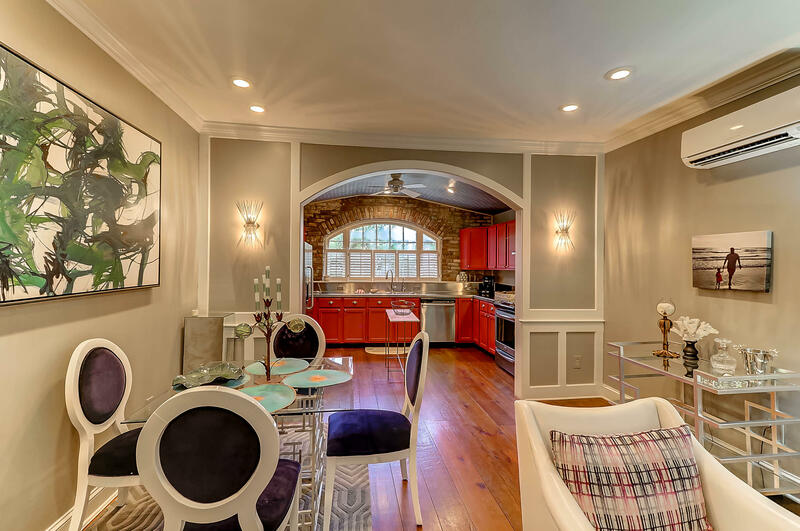 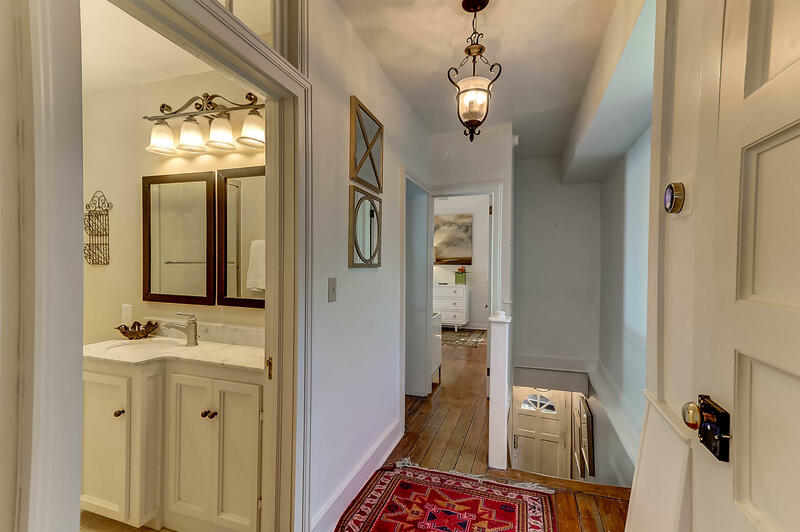 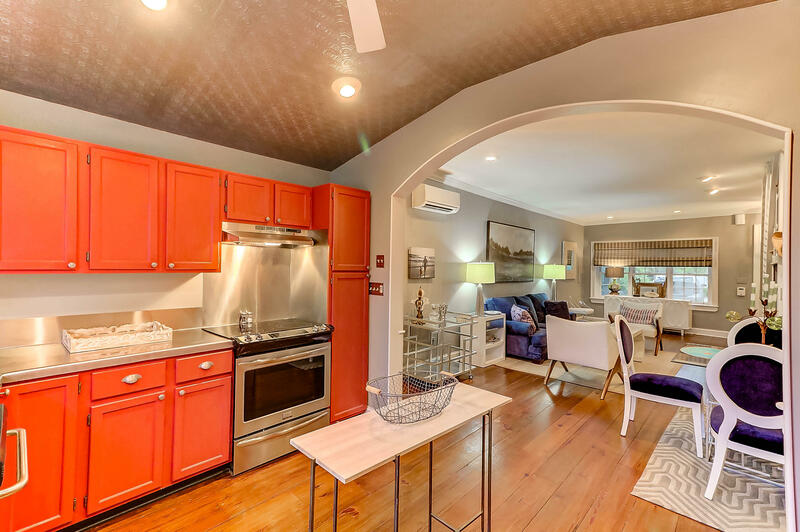 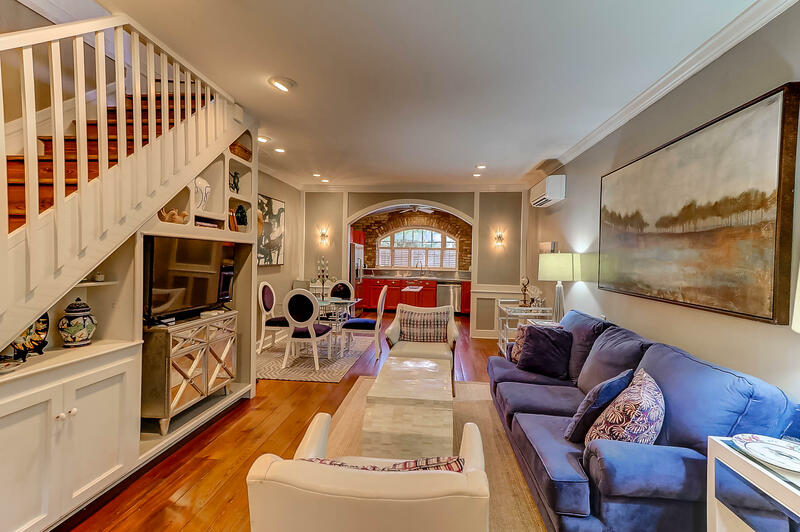 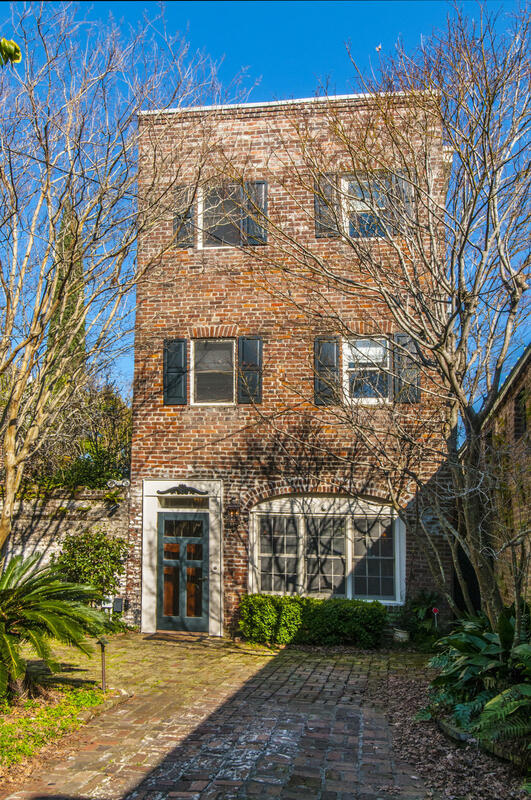 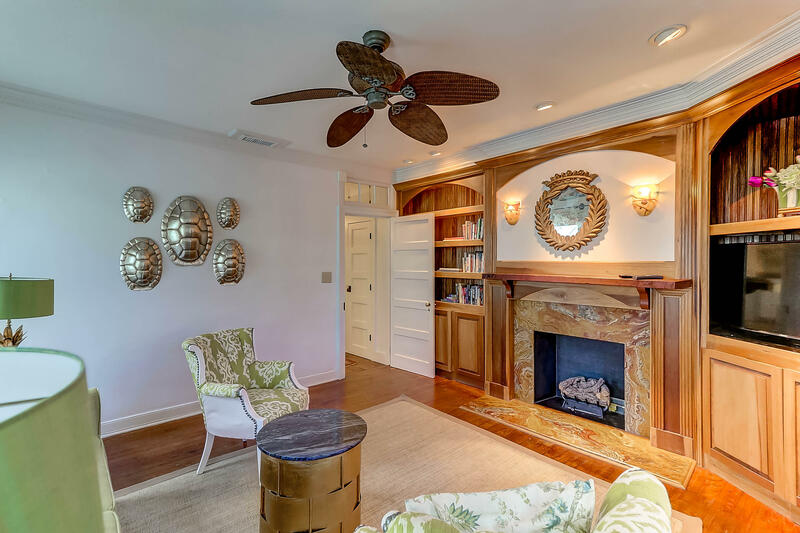 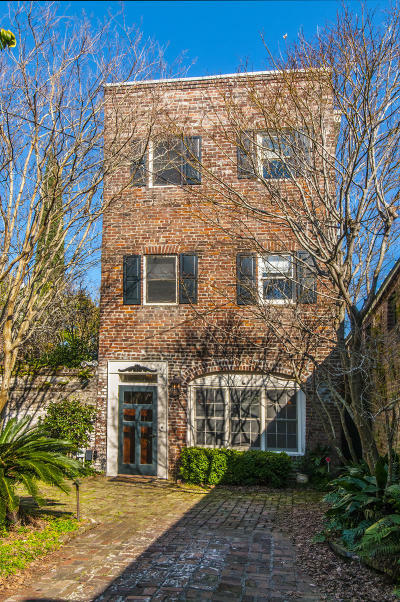 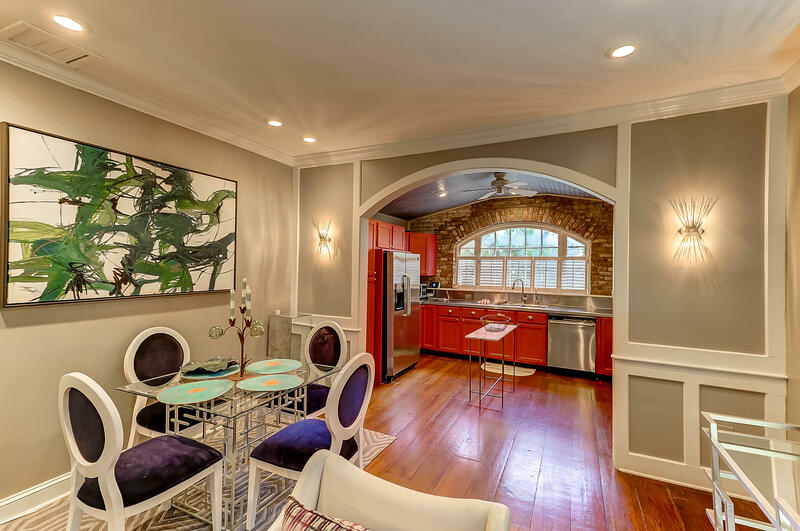 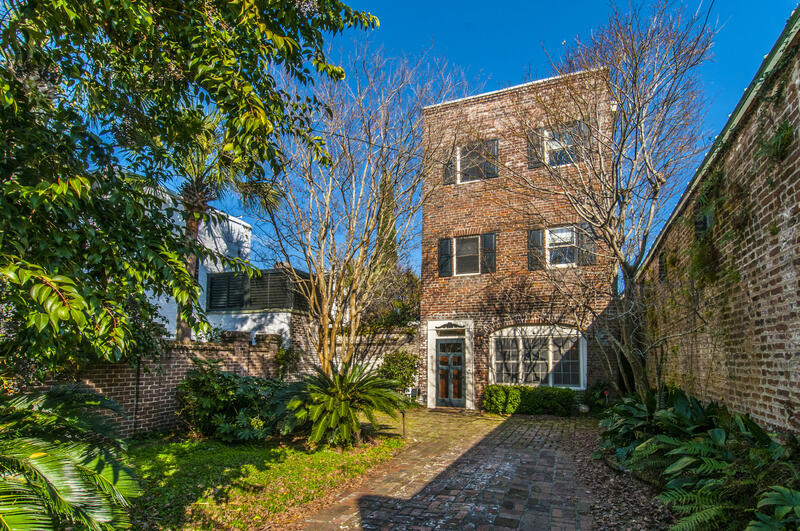 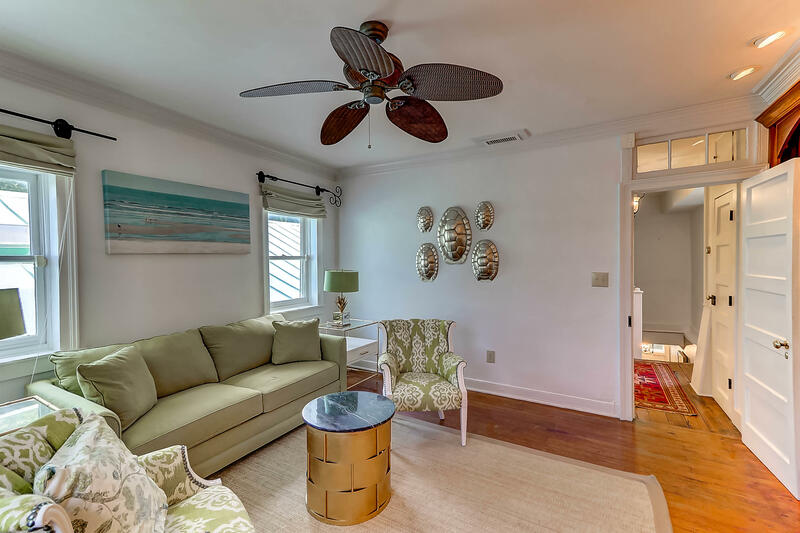 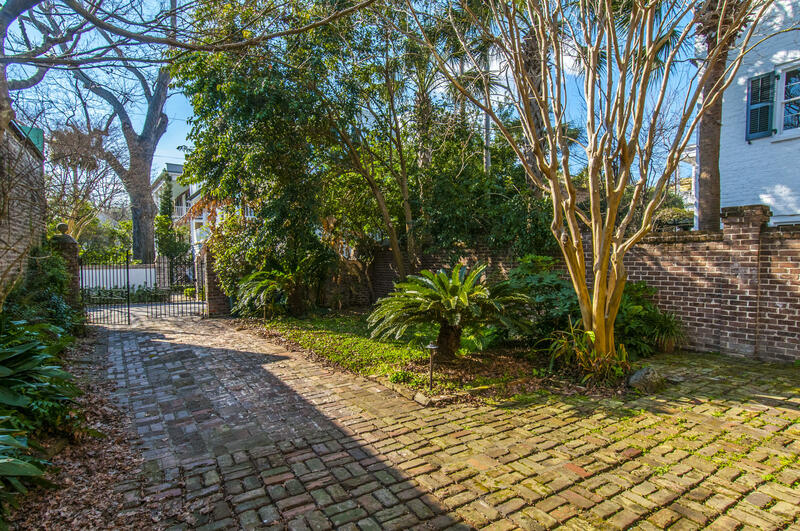 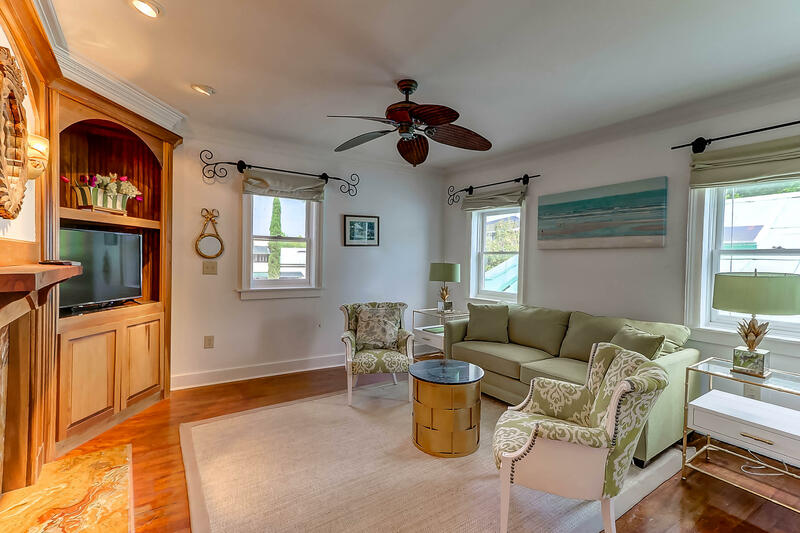 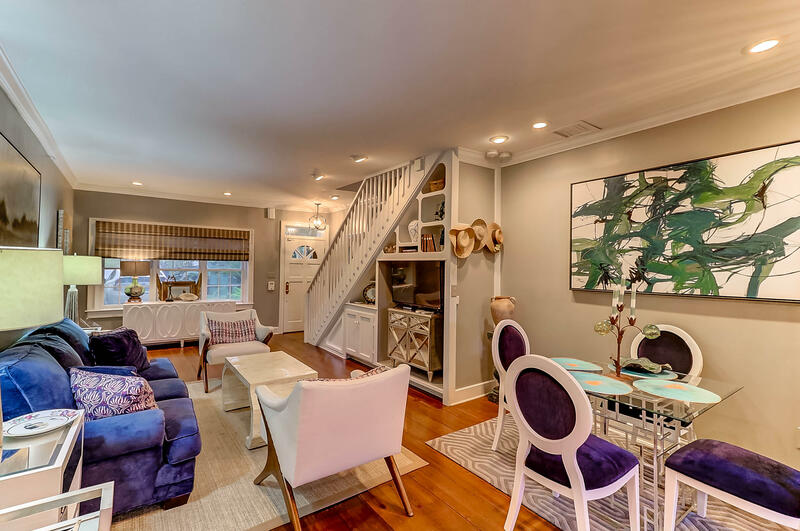 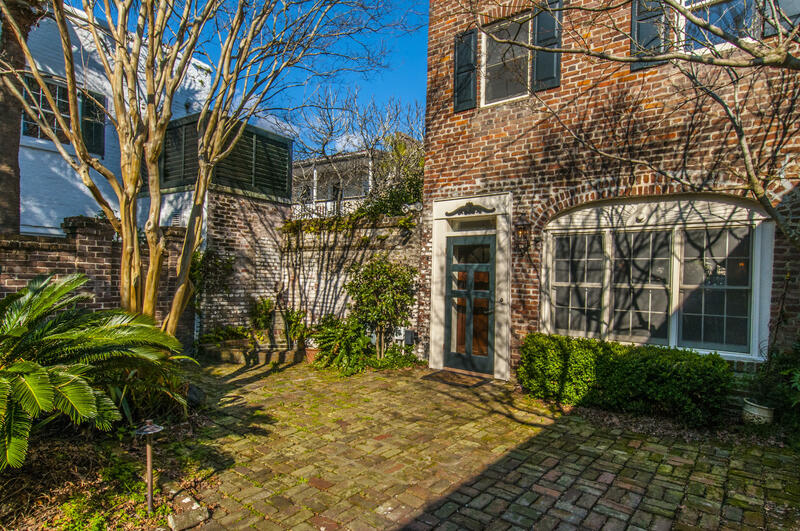 This fabulous Historic Gem that is tucked away on a quiet little street in Ansonborough is a must see! 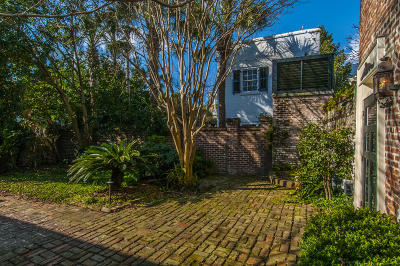 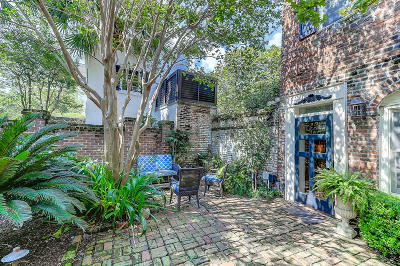 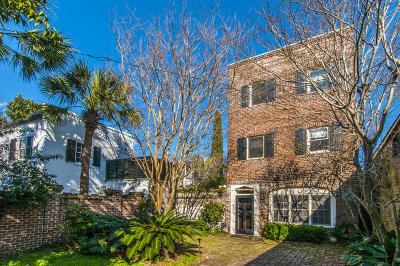 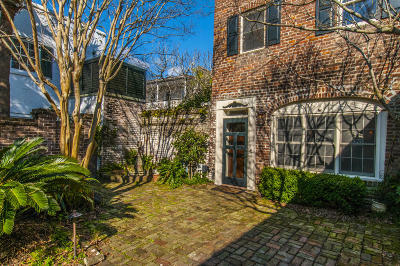 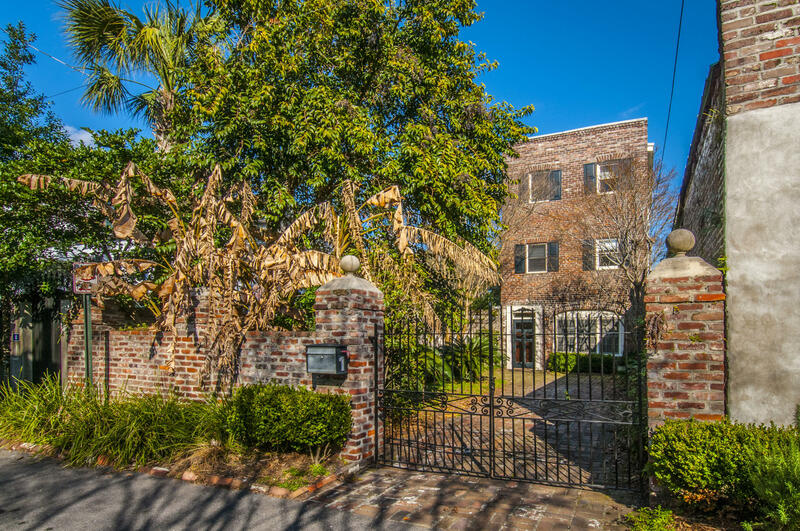 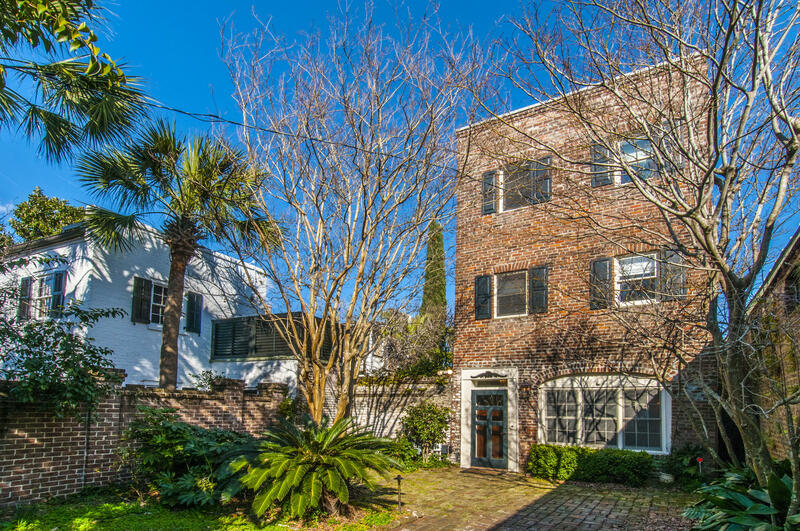 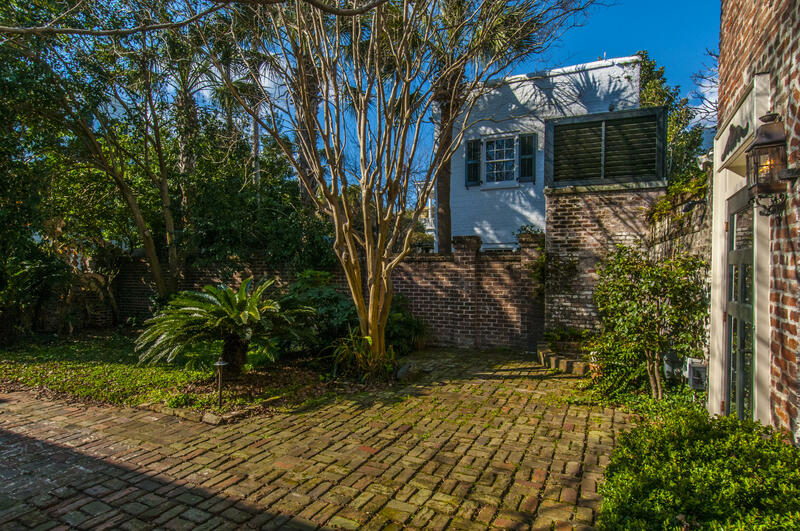 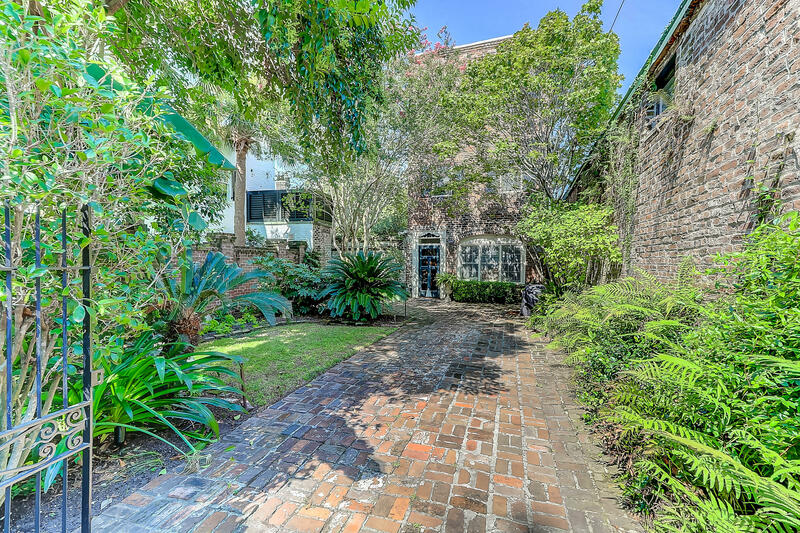 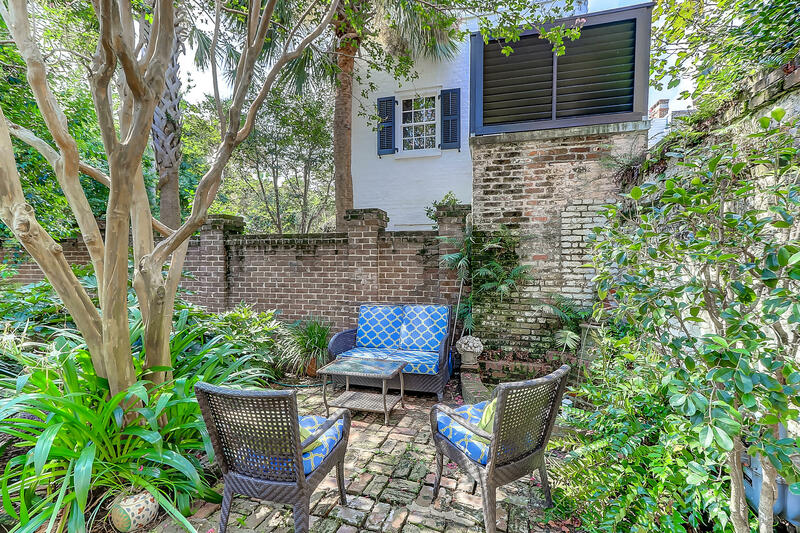 It was an 1850&apos;s carriage house that is completely detached with a wonderful and lush Charleston garden. 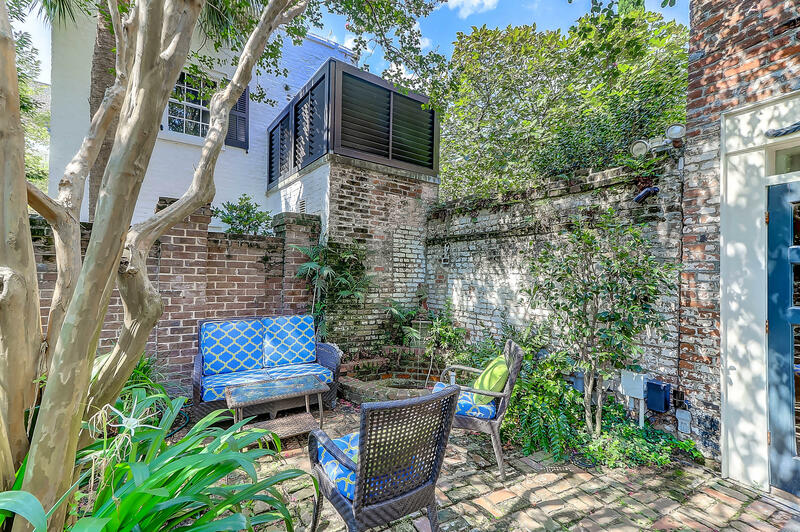 Room for outdoor seating and lounging. 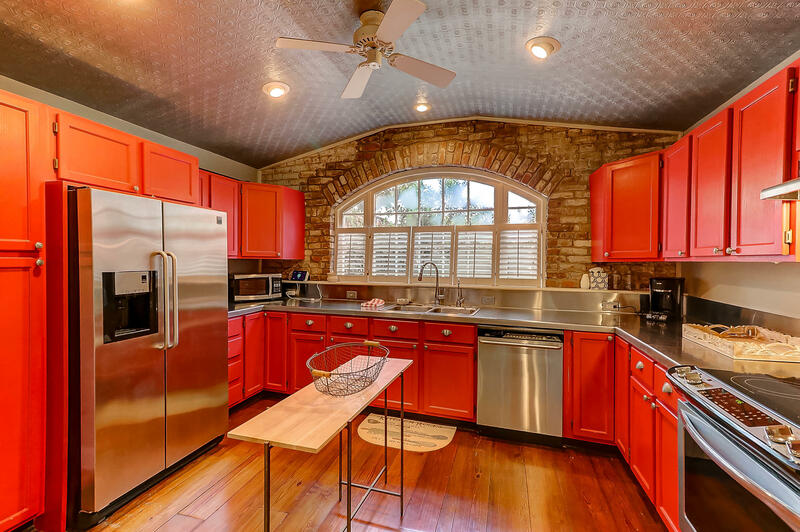 A great place for an evening bar-b-que as well! 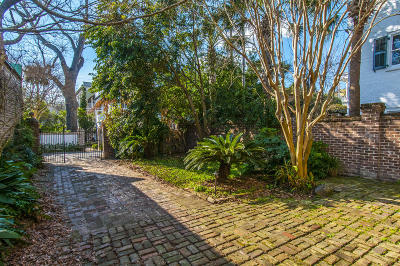 A lovely brick driveway for off street parking. 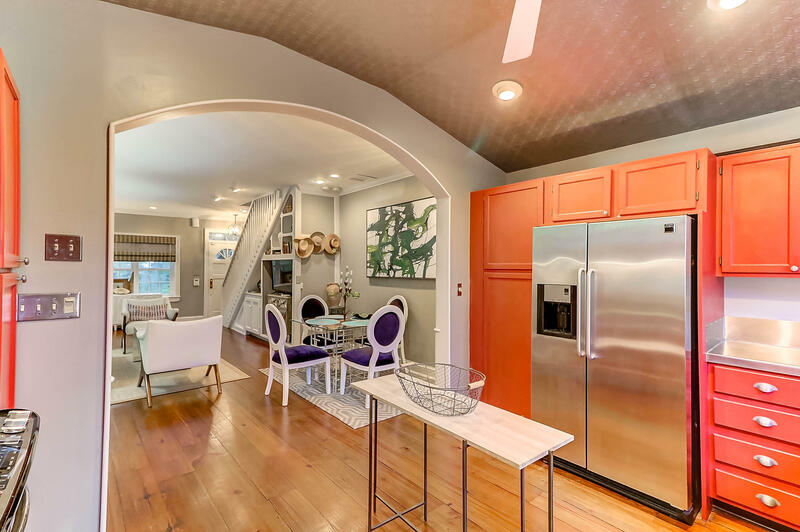 Once inside you will see the unique quality and finishes in the spacious living area. 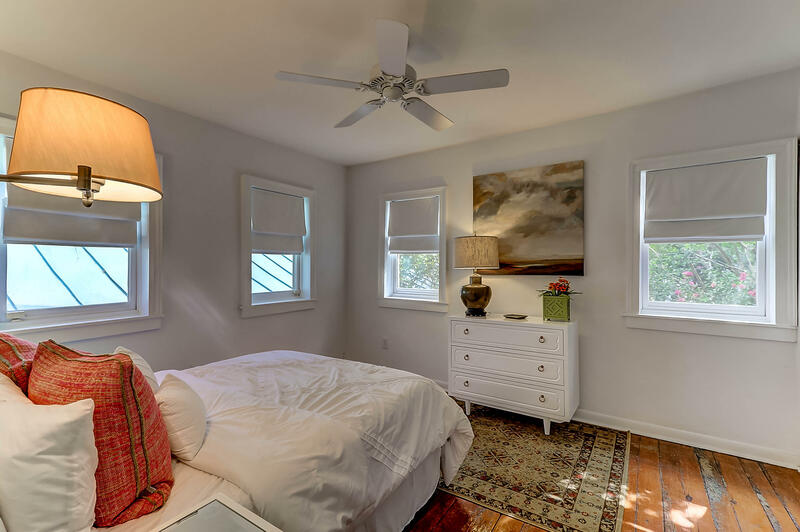 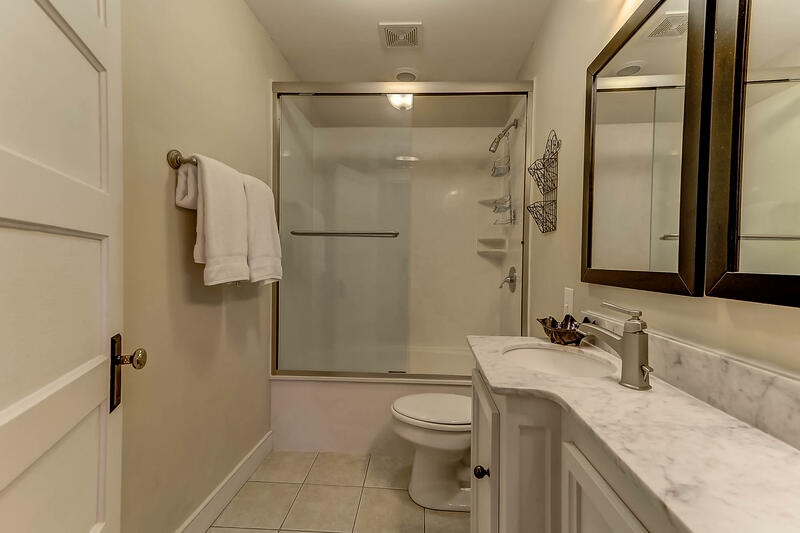 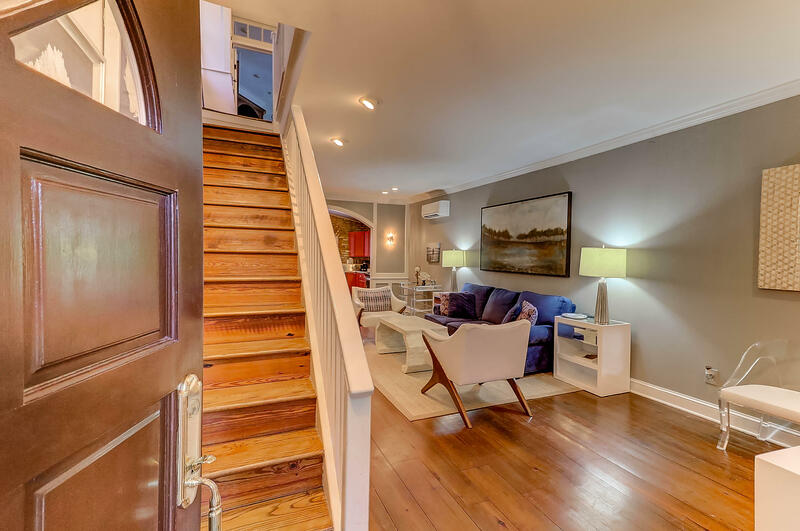 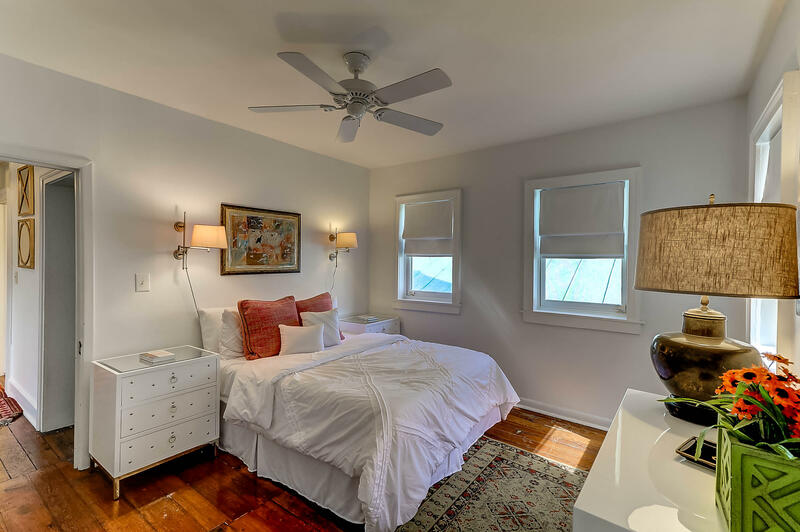 Upstairs are two large bedrooms, a large sitting room or 3rd bedroom and two full baths. 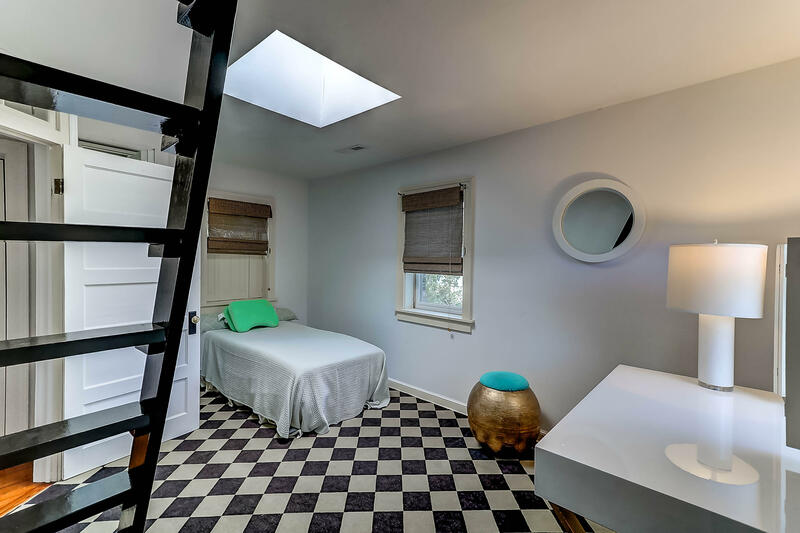 The third floor has another living area that could also be a bedroom or play room. 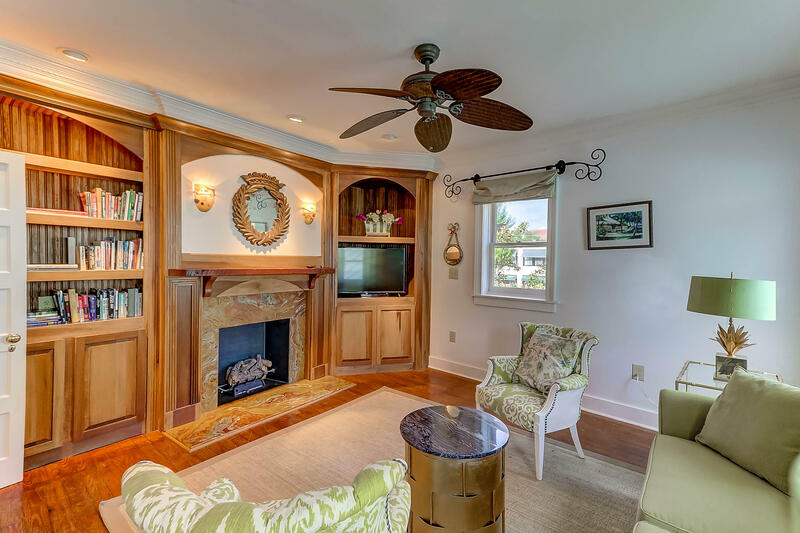 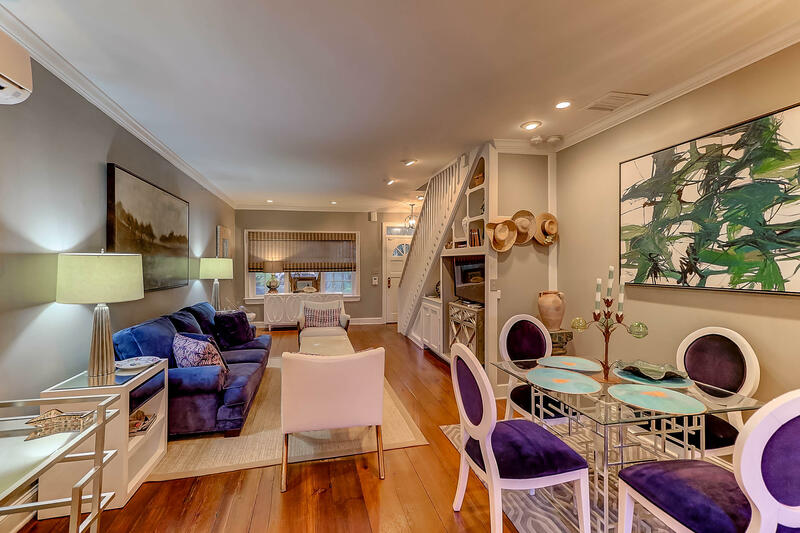 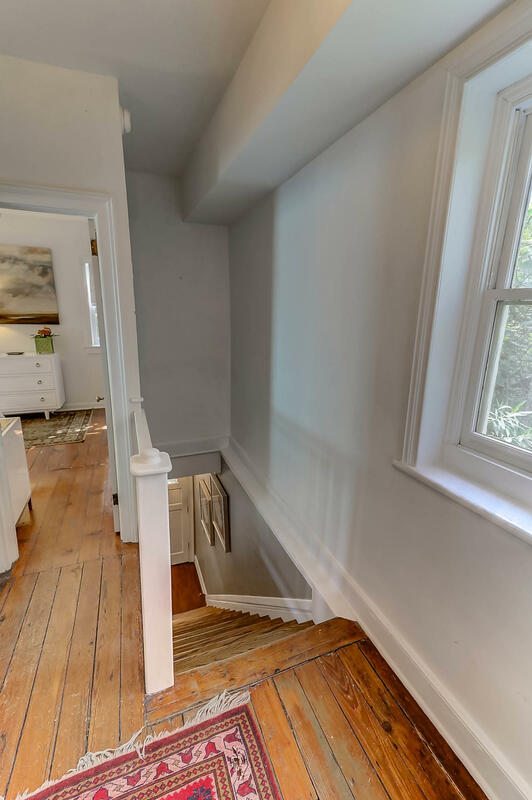 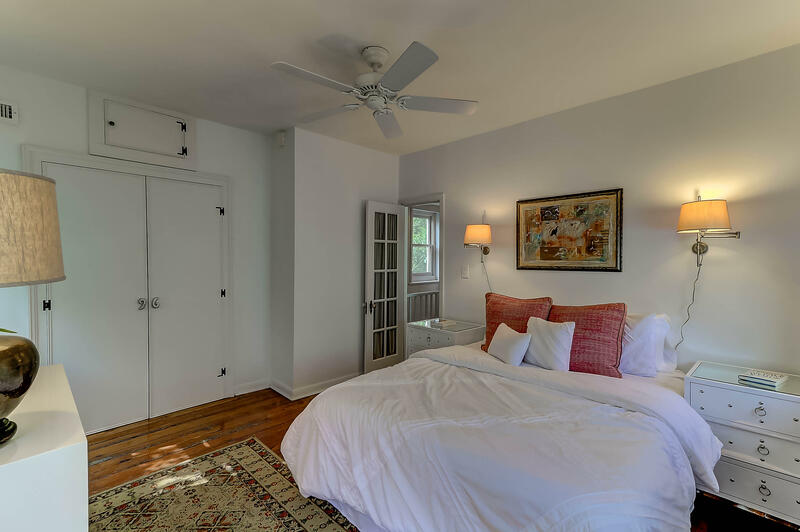 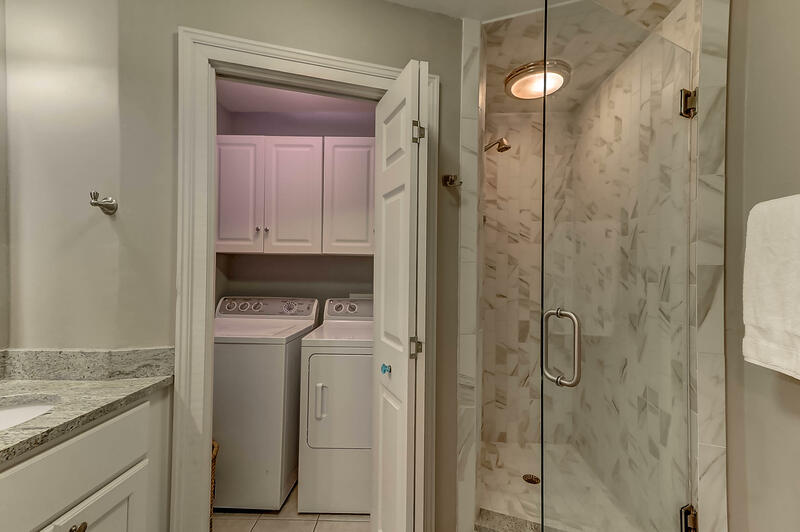 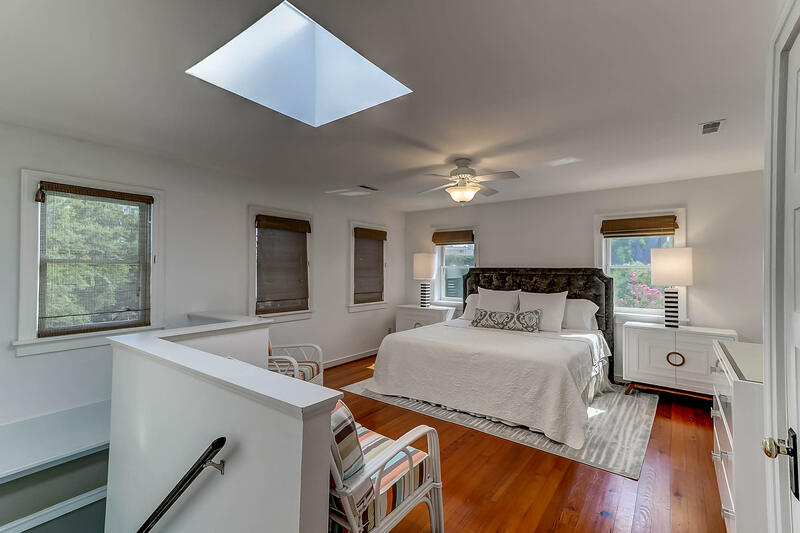 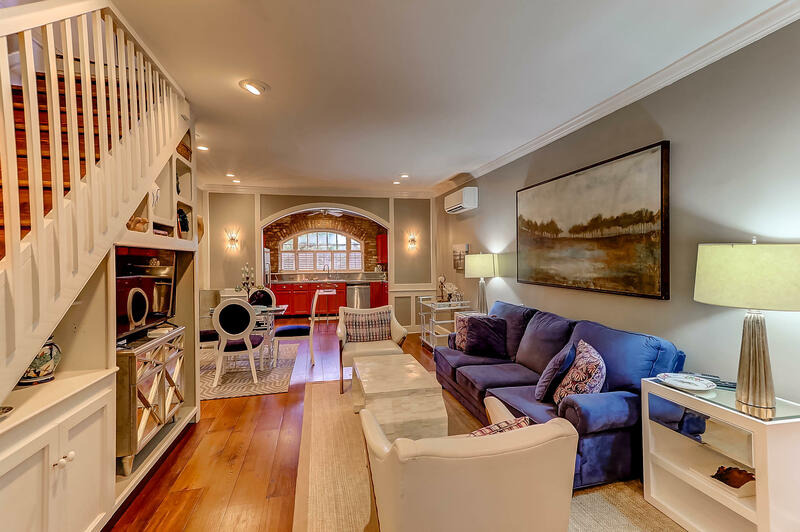 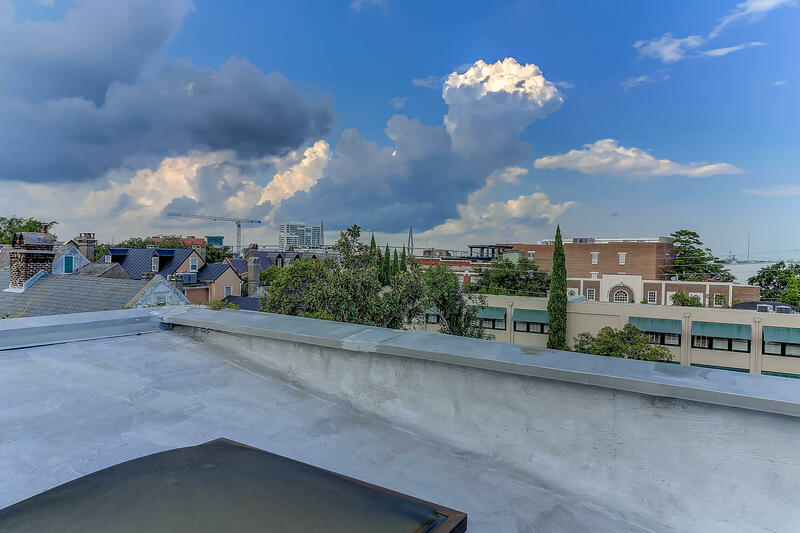 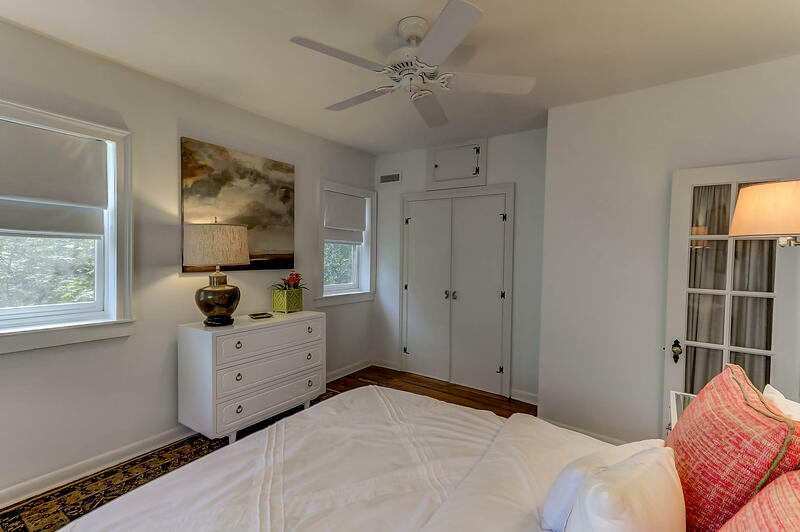 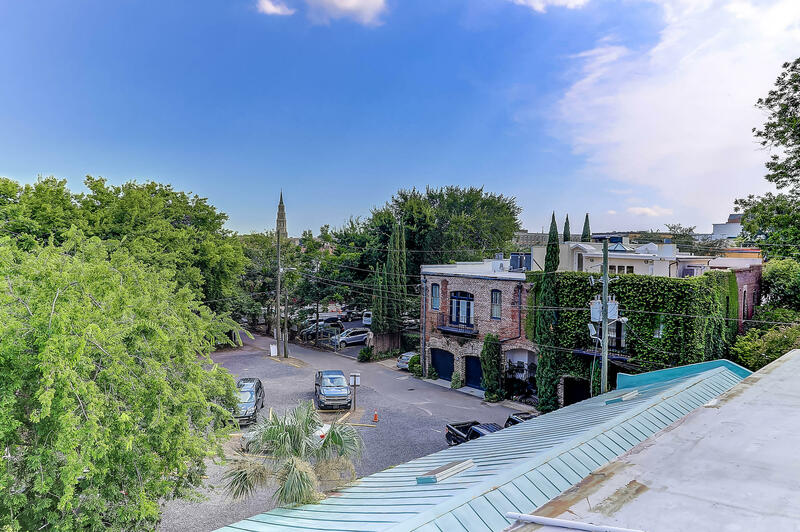 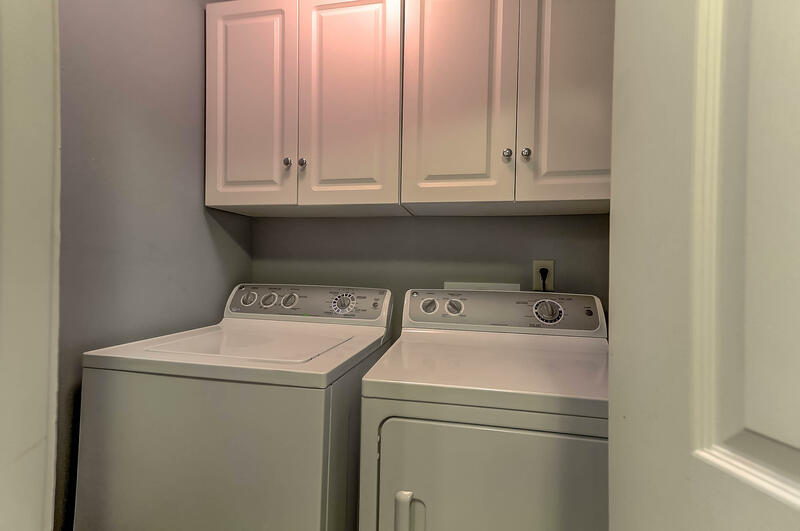 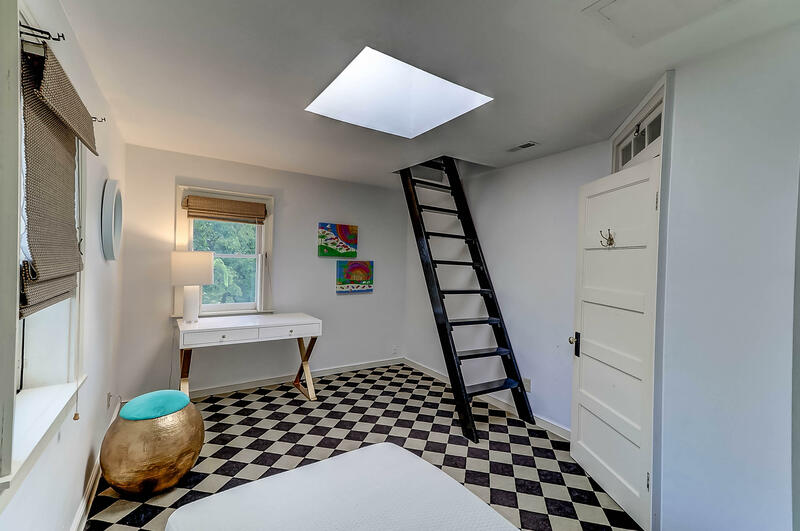 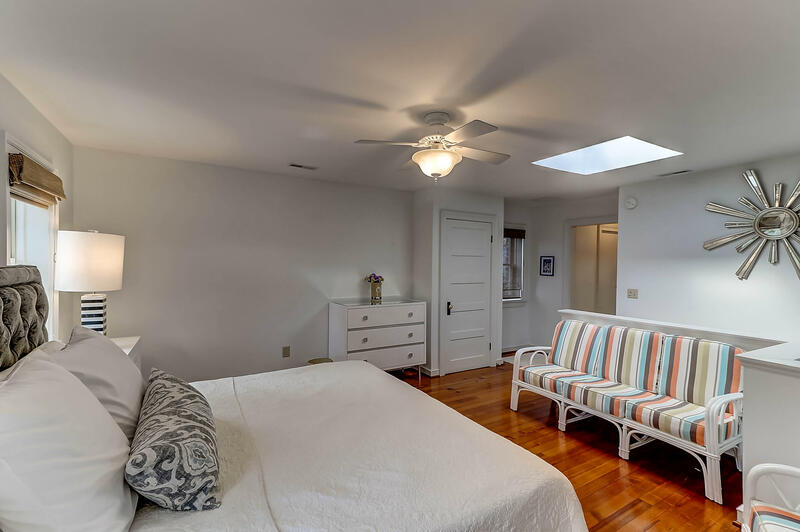 Plenty of closet space for an older home and great roof top views from upper floors. 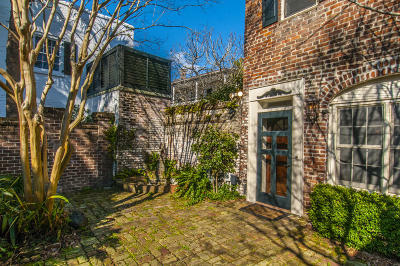 Love living in the center of the city in a quiet and remote retreat!